Buy The Self-Care Planner (2nd Edition) on Amazon. View more images of the planner here. Are you ready to redesign your life? The 2nd Edition of The Self-Care Planner now includes an hourly breakdown on the weekly pages! View images of the planner here. 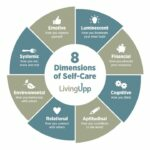 Design a life you love with The Self-Care Planner!